John G. Mason charts a course through Luke's Gospel for today's readers, drawing from his many years of study of this account of the life and ministry of Jesus Christ. A fulfilment of ancient promises and the catalyst for a new covenant, the Messiah we meet in Luke's gospel not only died and rose again, but also called for all nations to know repentance and forgiveness. As Mason explains this Gospel clearly and helpfully, he also encourages readers to ask, and answer for themselves, the question Did God really become one of us? Luke : An unexpected God by Mason, John G. was published by Aquilla Press in June 2012 and is our 42392nd best seller. 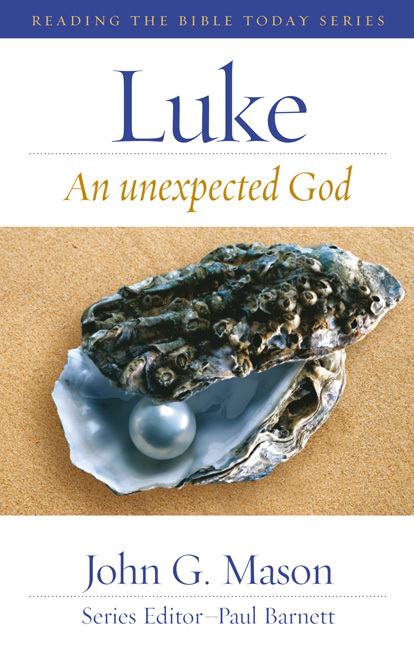 The ISBN for Luke : An unexpected God is 9781921460975. Be the first to review Luke : An unexpected God! Got a question? No problem! Just click here to ask us about Luke : An unexpected God. Author / Artist Mason, John G.